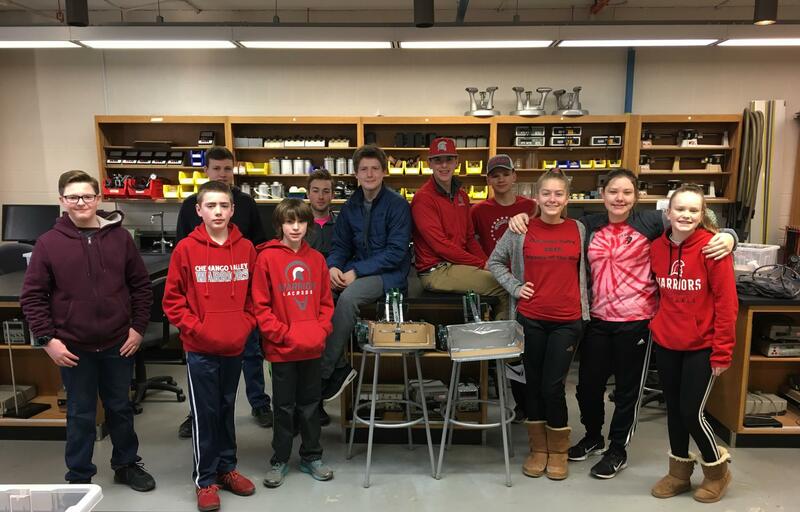 Chenango Valley Middle School and High School displayed their STEAM skills during the SUNY Broome and Eastern Southern Tier STEM Hub Robotics Challenge on March 27. Chenango Valley students from grades 8 through 12 attended this year’s event. The high school teams came in second place for their events and the middle school teams placed fourth. In addition to some friendly competition, this annual event helps to promote teamwork, as well as engage students in problem solving.